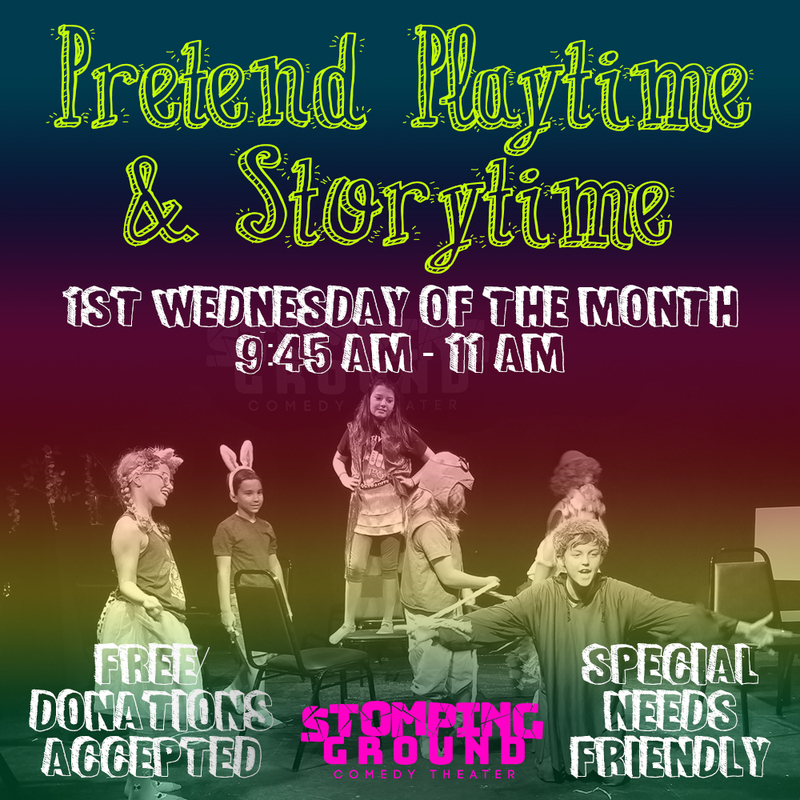 Join us at Stomping Ground Comedy for Pretend Playtime & Storytime, where kids have the opportunity to express their creative side and strengthen their funny bones. They can play pretend and explore interactive story time using costumes, props, puppets, and song. This is a come-and-go event and storytime will begin at 10 am. For this event we will be joined by twig.and.olive with their innovative Imagination Boxes! This event is open to all ages and is special needs friendly and outside food and drink are allowed and encouraged. Staff will be on hand to encourage play but parents are asked to stay with their child/children. This event is FREE but donations are welcome. No ticket required- just show up and play!